There is a nice little park in Centreville, DE that houses this gazebo. In the summertime, bands give concerts here. 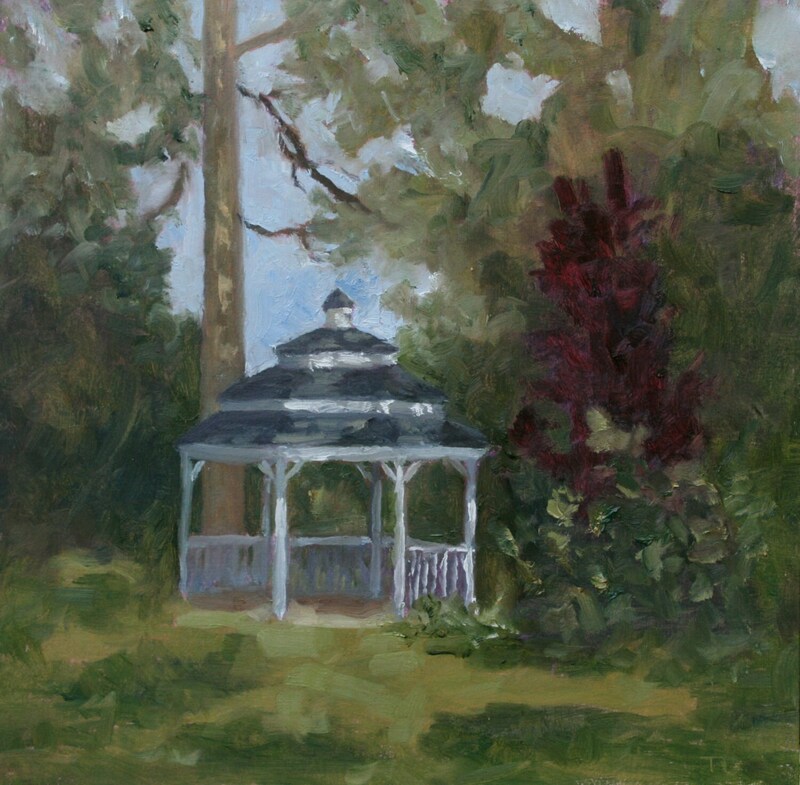 The very first painting I ever sold in a gallery featured this gazebo as well. That was a scene at Christmastime, with snow on the ground and a wreath hanging at the entrance. The painting is ten inches wide by ten inches tall. It is an oil on board. It was painted on-site.